A woman’s engagement ring is much more than a piece of jewelry. This ring represents her relationship with the love of her life—and everything her partner loves about her. These days, many couples eschew the traditional ring styles for something more unique. What type of ring will your future bride fall in love with? The answer depends on her personality: is she into chic and modern looks, old-fashioned elegance, or glitzy glamor? Maybe the ring combines all three styles! 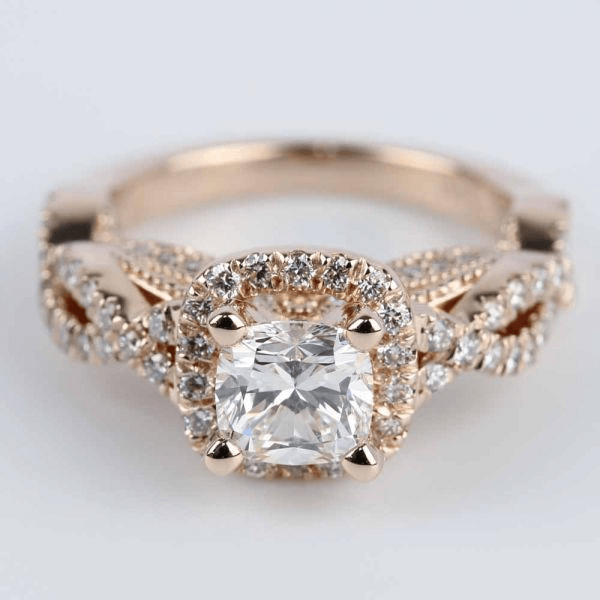 In fact, some of the hottest trends for women’s modern engagement rings feature vintage-inspired settings. Below we’ve listed some of our favorite designs from this year, from unique diamond cuts to eye-catching colors. Here you can get inspired and find the perfect ring style for your perfect partner. Jewelry resembling Edwardian-era design is known for delicacy and femininity. An engagement ring in this style is strikingly beautiful, with a sparkling center diamond and intricate detailing along the band for an elegant, antique look. 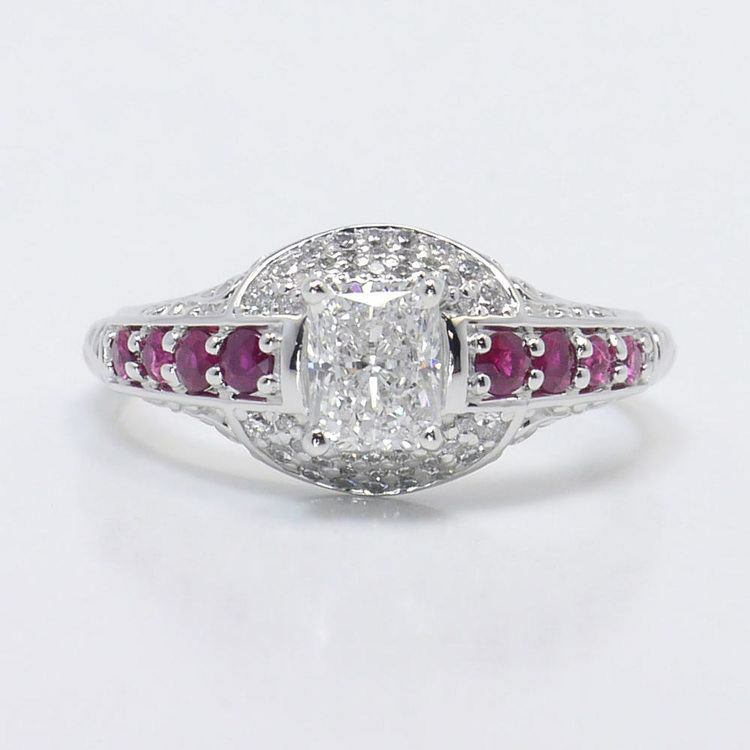 The ring pictured above is an excellent example of the Edwardian style. The band features scrollwork and milgrain (little balls along the band) for a lovely, old-fashioned touch. With these stunning details, a diamond of any size or shape will look magnificent. Most people are familiar with the “classic” engagement ring: a solitaire diamond (usually Round-cut) set in a yellow gold band. These days, that simple look is getting an upgrade with fancy diamond shapes (like the marquise cut above), accent stones, and twisting, turning patterns on the band. These same practices can be applied to other classic diamond shapes, too. 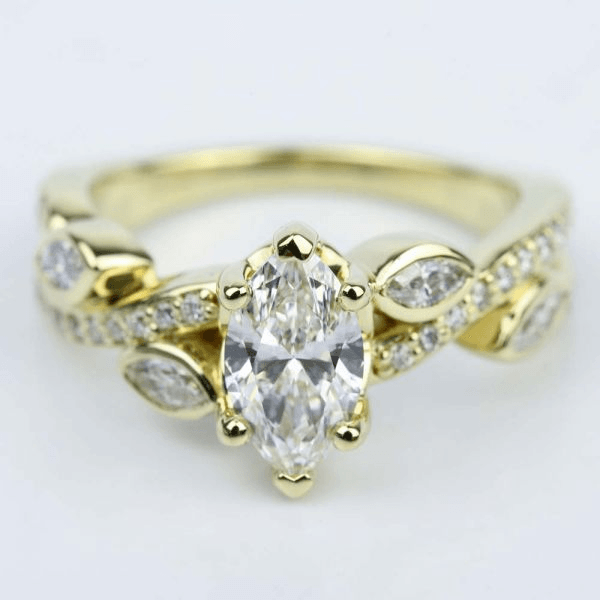 The princess, oval, marquise, and pear shapes borrow from the brilliant-cut design from the traditional round brilliant. While the shapes are unique, they all feature enhanced brilliance. The oval, marquise, and pear diamond shapes also benefit from their elongated shape, suggesting more size and adding a slimming effect to the finger. All three shapes, however, are susceptible to a flaw in their cut called the “bow-tie” effect, which takes away from the brilliance of the stone. The “bow-tie” can be seen as a darkened area in the center of the diamond. Buyers need to be aware of this flaw and should inquire about its presence within a stone. A proper cut will ensure that the “bow-tie” does not make a black-tie debut in your engagement ring. Be sure to select stones with a length to width ratio of about 1.7 to 2.0 for marquise and a ratio of 1.3 to 1.5 for the oval and pear shapes. Modernizing a classic style is a great way to—pardon the pun—marry old fashions with new trends. You can give her a timeless symbol of your love while still keeping up with present-day styles. Trust me, she’ll love it! Halos have been a popular way to dress up diamonds for a while, and this trend is still going strong! Halos are a beautiful addition to any diamond — they can even be a cost-effective way to make smaller diamonds look bigger. There are many ways to modernize the halo, too. An adjustment to your setting can turn a simple halo into a beautiful flower engagement ring. You can also put halos around nontraditional diamond cuts, like heart- or pear-shaped stones. Just get creative! 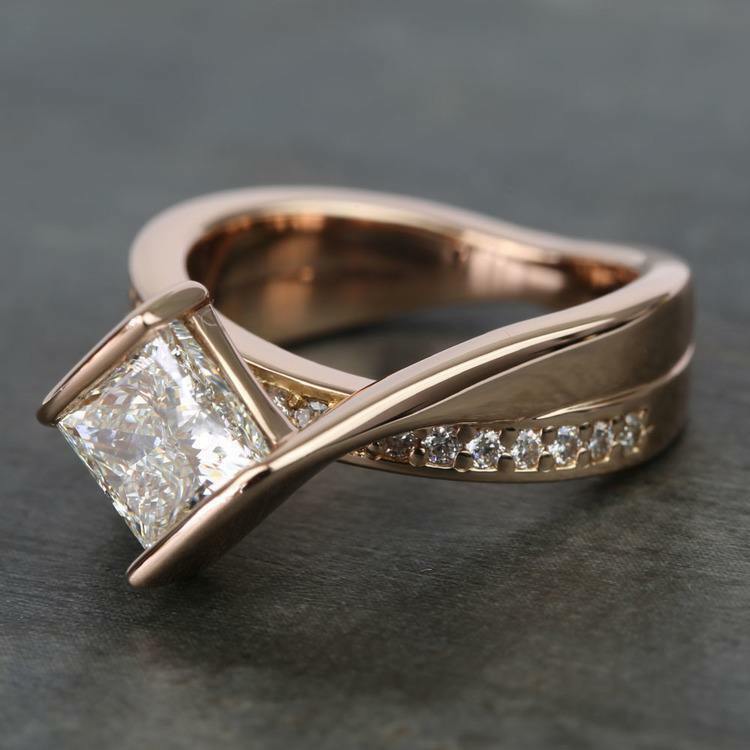 A split shank setting refers to an engagement ring band that splits into two distinct bands as it approaches the center diamond. This look is incredibly modern and chic, and it makes your finger look more slender. Split shanks also give you double the opportunity to dress up the band with accent stones. The picture above shows you just how much you can do with a split shank. The intertwining pattern, the milgrain details, and the diamonds sparkling all along the band make this ring a real showstopper. Although the saying goes, “Diamonds are a girl’s best friend,” many women want a little color in their engagement rings. That’s why accent gemstones have become so popular. 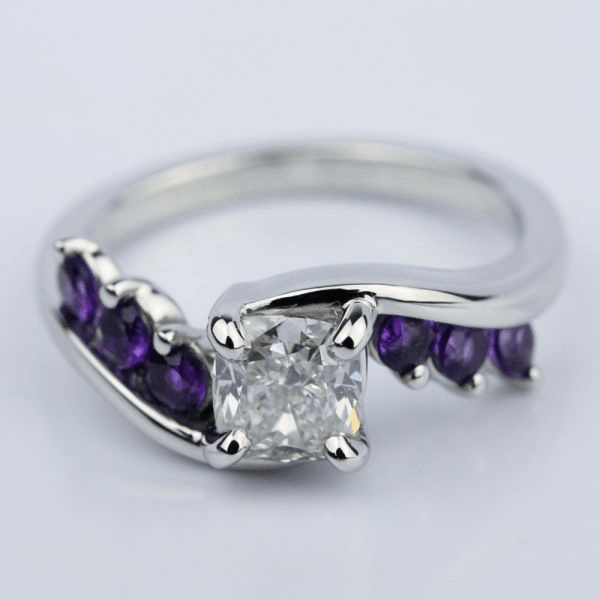 A pop of her favorite color will turn her ring into something truly individualized. If she loves red, decorate the band with pave set rubies. If she loves purple, add a few amethysts. You can even consider black or chocolate diamonds for the woman who loves a bit of mystery. The right color makes any ring feel personalized. This particular diamond shape is in a class by itself. Radiant diamonds are a hybrid of brilliant-cut faceting and the vintage shapes of an emerald or Asscher diamond. Their classic shape, perfect fire, and vintage appeal are ideal for a white gold setting. Color is probably the most important factor when setting a radiant diamond. Keep color grades high. Radiant cuts actually enhance the natural color of a diamond, making it great for fancy colors, but not so great for the lower color grades of a colorless diamond. Stay in the near-colorless range, preferably an H or above. No matter what diamond shape you adorn with colorful stones or gems—or if you decide to make this gem the focal point of the ring—this is a definite winner for making a ring stand apart from the crowd. Another option to suit a modern woman exists in the idea of purchasing a ring that capitalizes on modern metal. For instance, white gold engagement rings for women remain one of the most popular choices for diamond ring settings. White gold is an ideal metal to highlight the brilliance of a diamond. The mirror-like surface bounces light and captures the diamond’s best sparkle. 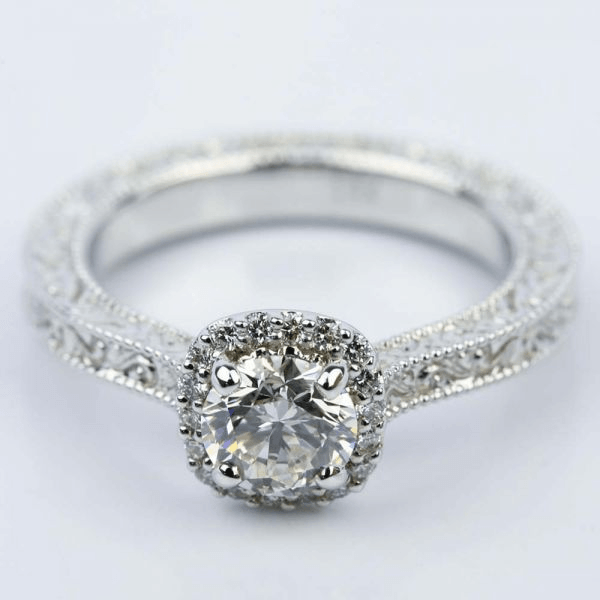 Plus, the budget-friendly price makes it a much more affordable choice for engagement rings when compared to platinum. This modern metal conveniently pairs perfectly with a range of diamond shapes. 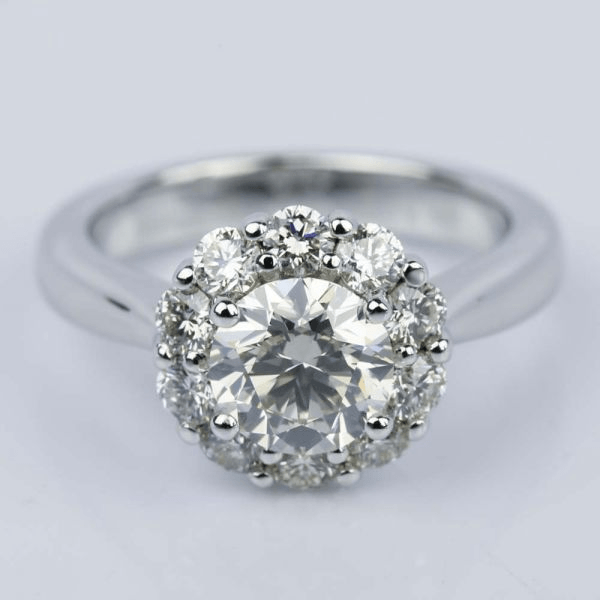 The most brilliant of all diamond shapes for a white gold ring is, of course, the round brilliant. When setting this prismatic round beauty within a white gold band, opt for higher cut and clarity grades. Another option to pair with white gold is the princess, oval, marquise, and pear shapes. These unique diamond shapes borrow from the brilliant-cut design. While the shapes are unique, they all feature enhanced brilliance. The oval, marquise, and pear diamond shapes, as mentioned above, are very complimentary to any finger given their elongated shape. When choosing a diamond in any of these shapes, keep in mind that color is important. Choose one as close to colorless as possible, generally staying at or above an I color grade. Yellow tints are more visible in white metals because of the depths of the cuts. And always go for eye-clean clarity. Another metal that a modern bride-to-be is bound to love is rose gold. This vintage-turned-modern ring trend proves to be a durable metal, even more so than yellow or white gold. Another draw to this metal is that it’s surprisingly affordable, and it furthermore does not require rhodium plate like white gold does. For a truly unique modern look, pair this vintage color with an ultra-modern setting, like the asymmetrical bridge setting in the engagement ring pictured above. Rose gold also has the appeal of being incredibly romantic due to its rose tint. After all, nothing says romance more than this soft, feminine rose tone! This metal complements all skin tones and is sure to draw attention every time it’s worn. And although rose gold is a hot trend of today, it’ll never go out of style. This metal has been around for hundreds of year, proving its ability to stand the test of time. Of course, if you think you know what your ring should like, it’s easy to buck all the trends and customize a ring yourself. 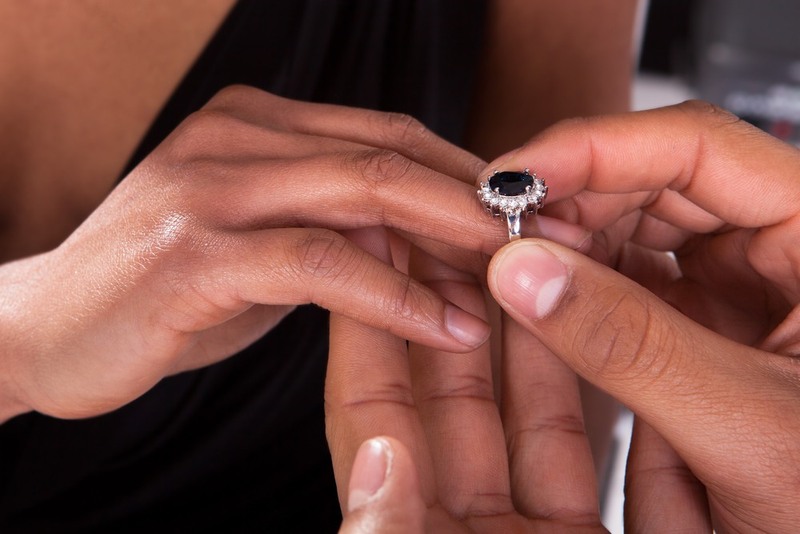 At Brilliance, we’ll work with you to customize a ring that will sweep your woman off her feet every time she looks at it!